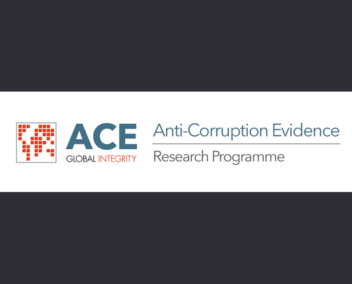 GI-ACE supports 14 research partners around the world in generating new evidence that policy makers, practitioners, and advocates can use to design and implement more effective anti-corruption programmes. 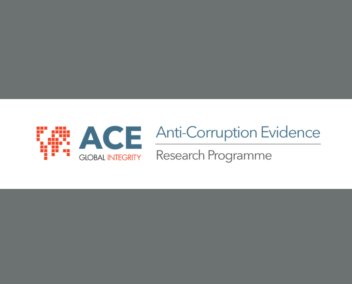 GI-ACE is part of the ongoing DFID-funded Anti-Corruption Evidence (ACE) research programme and the complement to a parallel programme led by SOAS University of London. GI-ACE builds on an earlier phase of the programme that ran from 2015 to 2018. To learn more about the individual projects please see the pages below and our two-pager. For more information, click on the projects below. The programme will produce outstanding research that helps decision-makers address and solve real corruption problems, such as how to identify malfeasance in public procurement, deterring the theft of medicinal drugs, or determining whether ethics training can reduce corruption in the public sector. GI-ACE supports learning, communications and engagement across all of our projects, and between researchers and practitioners across the world. Are you a policy maker or technical expert? Do you have thoughts or feedback? Get in touch – tweet us @GlobalIntegrity or send us an email at johannes.tonn@globalintegrity.org and paul.heywood@globalintegrity.org.